For those who are unaware, Pass Plus is a post-test course of 6 hours additional tuition, designed to take the newly-qualified driver outside of the box and immerse them into situations they have yet to experience. In doing so, the new driver sharpens skills and adds experience to their training, heightening awareness and planning skills. In my experience, the value of this highly underrated course cannot be voice loudly enough. Over the years, I have watched many new drivers blossom and gain real road confidence from such an experience. The government is finally moving towards allowing learner drivers practice on motorways. A recent public consultation closed at the end of Feb 2017 and the government are now analysing the comments and data. We now await the results with bated breath! Assuming that the response is positive, it is likely that motorways will be opened up to learners in the next year or two. Possibly as early as 2018. Such a change will clearly spell the death of the Pass Plus course in its current format. What will A-DRIVE do when this happens? A-DRIVE is already planning well ahead. We have plans to assimilate the entire course into normal driving lessons. A ‘Total Immersion’ section to our syllabus will be added, which in effect will become a ‘Pre-Pass Plus’. In other words, new drivers will do the course prior to taking their driving test. 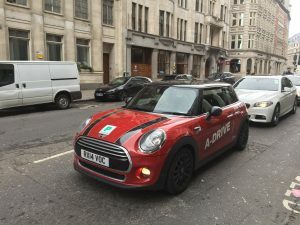 So, by the time A-DRIVE pupils turn up at the test centre, you will already have driven on motorways, through central London, tackled the Dartford Crossing and a whole host of other out-of-area experiences. The effect of such a move will bring greater confidence and therefore a greater chance of passing your test first time. It will also mean that new drivers are not faced with the problem of finding that extra cash when they pass and having to make a difficult decision between training and funding other things in life. It also means that all A-DRIVE pupils will be undertaking the course rather than the few. In doing so, A-DRIVE hopes to make a big contribution in reducing the number of traffic collisions experienced by new drivers on our roads.